Model 003 of the Dojo Pro series features a classic Shikashi double crane ('tsuru' in Japanese) hence it's name, a relatively common design and exact copy of a popular edo era antique. The tsuka/handle assembly itself is exceptionally tight and well put together, double pegged with silk ito wrapped over REAL rayskin, wrapped in a traditional alternating style to ensure it does not loosen with use and tightly bound to a quality wooden core. 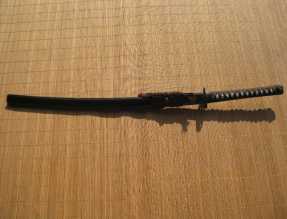 The sword came on time and in excellent condition with no visible flaws. 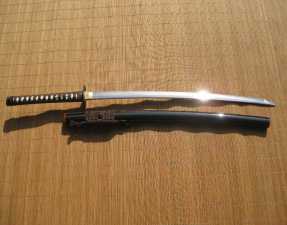 The sword and scabbard have a quality feel. 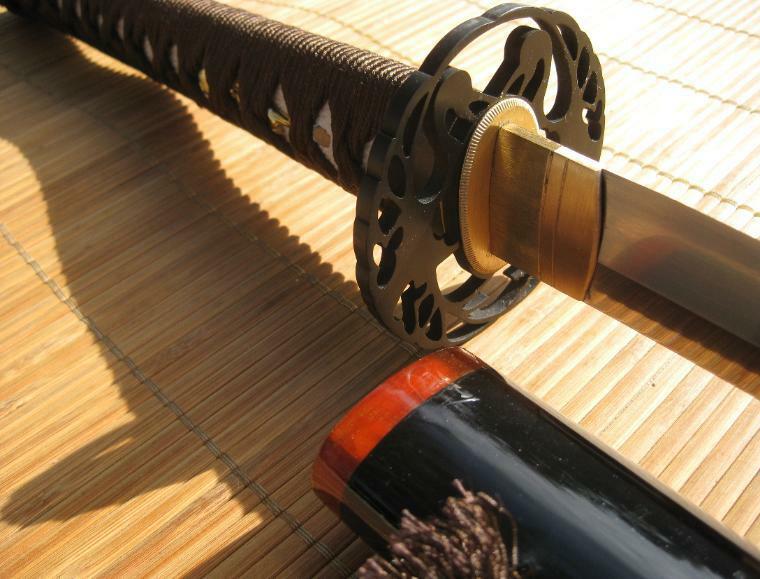 The blade is unblemished and sharp. 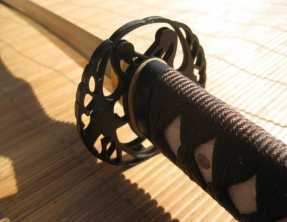 The tsuka is tight with good quality silk ito - not 'shoestring' like other swords in the price range. All fittings are tight as well. The saya has nice horn accents.